The second instalment of 'The LEGO Movie' has been given a title - 'The LEGO Movie 2: The Second Part'. The second instalment of 'The LEGO Movie' has been given a title. 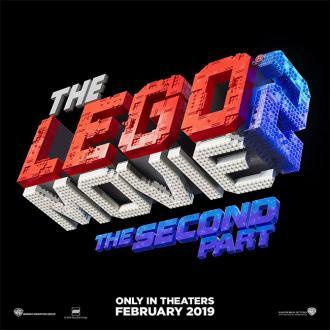 The sequel to the 2014 hit movie has been given an official name and will be called 'The LEGO Movie 2: The Second Part'. 'The Lego Movie' sequel was originally expected to hit cinemas in May 2018 but was delayed until 2019. The movie was initially expected to be directed by Phil Lord and Christopher Miller but 'The Mindy Project's Rob Schrab will now take over the reins. However, although they've stepped down as directors, Lord and Miller are reportedly still on board to act as producers and are also co-writing the forthcoming film's script. 'The Lego Movie 2' will follow on from 'The Lego Batman Movie', which features the voices of Will Arnett and Mariah Carey. Safekeepers for the Lego screen brand Dan Lin, Lord, Roy Lee and Miller will produce the 'The Lego Batman Movie', while 'The Lego Movie's animation supervisor Chris McKay has been brought on board to direct the spin-off. Skilled writer Seth Grahame-Smith has also penned the script for the movie. It has since been revealed that the sequel to 'The LEGO Movie' is being re-written by Raphael Bob-Waksberg to make changes to the script penned by Lord and Miller.